Online Registration is now open for the 2018/2019 season. YOU CANNOT REGISTER IN PERSON. YOU MUST REGISTER ON LINE. Once you’ve completed the on-line registration please attend one of the listed in-person registration dates. Come in and sign up for your bingo and pay your fee if you did not pay on-line. All families who have completed Respect in Sport prior to 2015 will need to select re certification. For new families you will need to set up an account. Respect in Sport for new players and for the re certification is $12.00. You are required to work 1 Bingo for NEZ. A Bingo deposit cheque of $300.00 is required. You may pay out your bingo at time of registration for $200.00. Before you register on line you MUST purchase your 2018/2019 Community League membership . You can purchase directly from your community league or go to EFCL to purchase on line. You last year membership expires Aug 31/18 and will not be valid for the 2018-2019 season. Just a reminder your childs registration is not completed until you have signed up for your bingo commitment , done the Re Certification of Respect in Sport and have also purchased your new Community League membership card. If you need to pay with Post dated cheques you MUST come to the earliest registration as all registration fees must be paid this year prior to Oct 1/18. 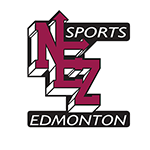 Click (HERE) to complete the online registration for NEZ categories .